In the spirit of the partnership between The Herb Alpert Foundation and CalArts, the Alpert Award has developed collaborative relationships with four residency programs, all of whom honor and support talented artists, and their forays into the unknown. 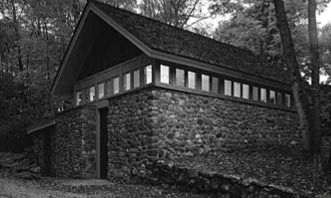 Founded in 1907 and situated on 450 woodland acres in Peterborough, New Hampshire, the MacDowell Colony, the most distinguished and oldest artist colony in America, is known for the talent and mix of its artists. Fellows include architects, composers, film and video makers, writers and interdisciplinary and visual artists. There are 32 private studios assigned according to the work proposed. 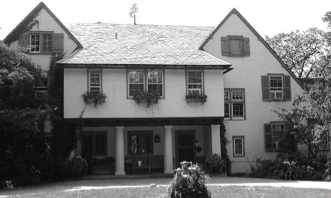 Located in Lake Forest, Illinois, one hour north of Chicago, Ragdale is the fourth largest artist community in the country, serving 200 writers, visual artists and composers a year. Housed in the 1897 buildings which were Chicago architect Howard Van Doren Shaw's summer home, Ragdale is known for its combination of welcoming domestic spaces, open prairie and supportive artistic community. Twelve residents at a time enjoy uninterrupted time in which to think, renew and create new work away from the demands of daily life. 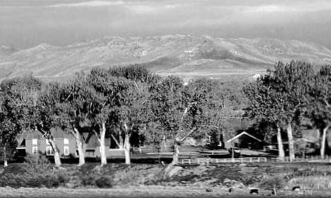 Located on a 20,000-acre working cattle ranch in northeastern Wyoming, the Ucross Foundation is an internationally known retreat for artists, writers, and composers working in all creative disciplines. Founded in 1981, it provides living accommodations, studio space, uninterrupted time, and the experience of the extraordinary High Plains landscape to approximately 90 individuals each year. Twenty-two visual artists and composers have been supported by Ucross/Alpert Residency Prizes during the past five years. A recipient of the Wyoming Governor's Arts Award for Excellence in the Arts, Ucross aims to cast a reflection into the future from the cultural mirror of our lives and times.